The genus Hydaticus Leach, 1817 (Coleoptera: Dytiscidae) in Kazakhstan is reviewed including diagnoses, illustrations, distributions, and natural history. An annotated checklist of the 7 species of the genus occurring in Kazakhstan is presented. They belong to the subgenus Hydaticus (s. str.) with 4 species: H. aruspex Clark, 1864, H. continentalis J. Balfour-Browne, 1944, H. seminiger DeGeer, 1774, H. transversalis Pontoppidan, 1763, and to the subgenus Prodaticus Sharp, 1882 with 3 species: H. grammicus Germar, 1827, H. pictus Sharp, 1882, H. ponticus Sharp, 1882. H. aruspex and H. seminiger are recorded in Kazakhstan for the first time. Jacobson, G.G. (1905-1915). Beetles of Russia and Western Europe. St. Petersburg: Publication A.F. Devrient, 1024. (In Russian). Meldebekov A.M., Kazenas V.L., Bajzhanov M.H. et al. (2011). Materialy k Kadastru zhivotnogo mira Almatinskoj oblasti. Chast' 1, Nasekomye. Almaty, Nur-Print (In Russian). Miller K.B., Bergsten J., Whiting M.F. (2009). Phylogeny and classification of the tribe Hydaticini (Coleoptera: Dytiscidae): partition choice for Bayesian analysis with multiple nuclear and mitochondrial protein-coding genes. Zoologica Scripta, 1, 34. Nilsson A.N. (1981). The Fennoscandian species of the genus Hydaticus Leach (Coleoptera: Dytiscidae). Entomologica scandinavica, 12, 103-108. Nilsson, A.N. & Hájek, J. (2018a). A World Catalogue of the Family Dytiscidae. Version 1. I. 2018. Nilsson, A.N. & Hájek, J. (2018b). Catalogue of Palearctic Dytiscidae (Coleoptera). Internet version 2018-01-01. Nilsson A.N., Holmen M. (1995). The aquatic Adephaga (Coleoptera) of Fennoscandia and Denmark. II. Dytiscidae. In: Fauna entomologica scandinavica, 32. Leiden; New York; Köln: E.J. Brill. 192. Przewoźny, M. (2018). The first record of Hydaticus (Prodaticus) ponticus Sharp, 1882 (Coleoptera, Dytiscidae) from Kazakhstan. 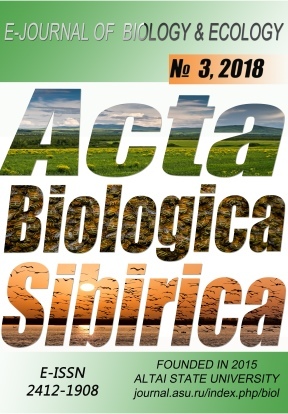 Acta entomologica silesiana, 26: (online 009), 1. Temreshev, I.I. (2014a). Water beetles (Insecta, Coleoptera) of the State Natural National Park «Ile-Alatau». KazNu Bulletin. Ecology series, 3 (42), 266-271. (In Russian). Temreshev, I.I. (2014b). To the fauna and ecology of water beetles (Insecta, Coleoptera) of the Korgalzhin Biosphere Reserve. Proceed. of the International Scientific and Practical Conference held as part of the annual readings of the memorial member of the Academy of Sciences of the USSR A.A. Sludsky. 11-12 March 2014, Almaty, 532-538. (In Russian). Temreshev, I.I. (2015a). To the fauna of water beetles (Insecta, Coleoptera) of the Dzhungar Alatau ridge. KazNu Bulletin. Ecology series, 1/2 (43), 591-595. (In Russian). Temreshev, I.I. (2015b). Materials to the fauna aquatic bettles (Insecta, Coleoptera) of South Kazakhstan. Second Report. KazNu Bulletin. Biology series, 2 (1), 58-65. (In Russian). Temreshev, I.I. (2015c). Water beetles (Insecta, Coleoptera) of the State National Natural Park "Sairam-Ugam" and adjacent territories. Proceed. IV Int. Sc. and Practical Conf. "The role of specially protected natural areas in biodiversity conservation" dedicated to the 20th anniversary of the state nature reserve "Prisursky". 21-24 October 2015, Cheboksary, Russia. Scientific works of the state nature reserve "Prisursky", 30, 1, 248-252. (In Russian). Temreshev, I.I. (2015d). First records of Hydaticus (Prodaticus) pictus Sharp, 1882 (Coleoptera, Dytiscidae) in Kazakhstan. Euroasian entomological journal, 14 (6), 554. (In Russian). Temreshev, I.I. (2016). To the fauna and distribution of aquatic beetles (Insecta, Coleoptera) of South Kazakhstan. Acta Biologica Sibirica, 2 (4), 15-28. (In Russian). Temreshev I.I. (2018). Water beetles (Insecta, Coleoptera) of the Jongar-Alatau State National Natural Park. Water Bioresources and Aquaculture in the South of Russia: Proceed. of the All-Russian Sc. and Practical Conf. timed to the 20th anniversary of the opening in the Kuban state un-those areas of training "Aquatic Bioresources and Aquaculture". Ed. G.A. Moscul. Krasnodar: Kuban State University, 2018, 259-265. (In Russian). Temreshev, I.I., Esenbekova P.A. (2013). Materials for fauna of aquatic beetles (Insecta, Coleoptera) of South Kazakhstan. KazNU Bulletin. Ecology series, 3 (39), 130-138. (In Russian). Temreshev, I.I., Kolov, S.V. (2013). To the fauna of water beetles Karatau ridge and adjacent territories Proceed. of the International Scientific and Practical Conference held as part of the annual readings of the memorial member of the Academy of Sciences of the USSR A.A. Sludsky. 11-12 March 2013, Almaty, 300-306. (In Russian). Tsalolikhin, S.Y. (eds). (2001). Freshwater invertebrates of Russia and adjacent territories. 5. Higher insects (caddisflies, moths, beetles, lacewings, megaloptera, hymenoptera). St. Petersburg, 836. (In Russian). Zaitzev, P.А. (1953). Beetles. Predatory diving and whirligig beetles. Fauna SSSR, 58. M.-L., Ed. Academy of Sciences of the USSR, 378. (In Russian).